Local chamber music fans may recall that five or six years ago, the gala centennial of the Pro Arte Quartet, the string quartet-in-residence at the University of Wisconsin-Madison, was celebrated in many ways. 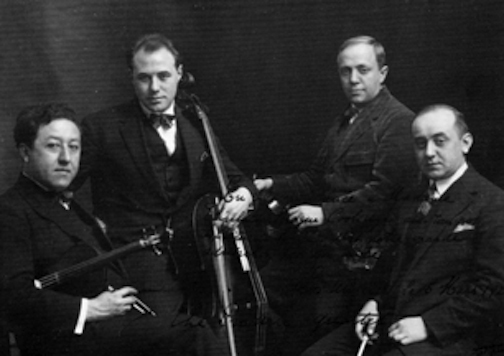 After all, the Pro Arte Quartet (below in a photo by Rick Langer) had by then become the longest-lived string quartet in the history of music. 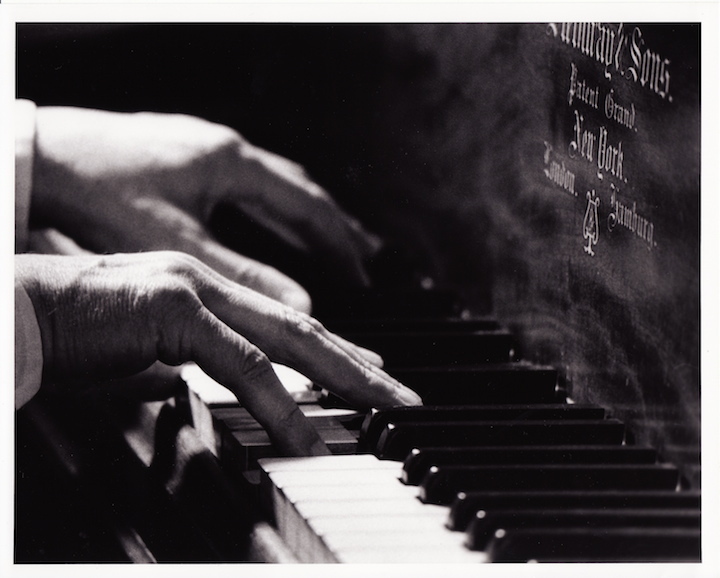 Furthermore, the quartet and the UW-Madison established the model for chamber music group affiliations with universities, which has since become standard. There were six commissions, later recorded in two volumes and three CDs (below) by Albany Records. 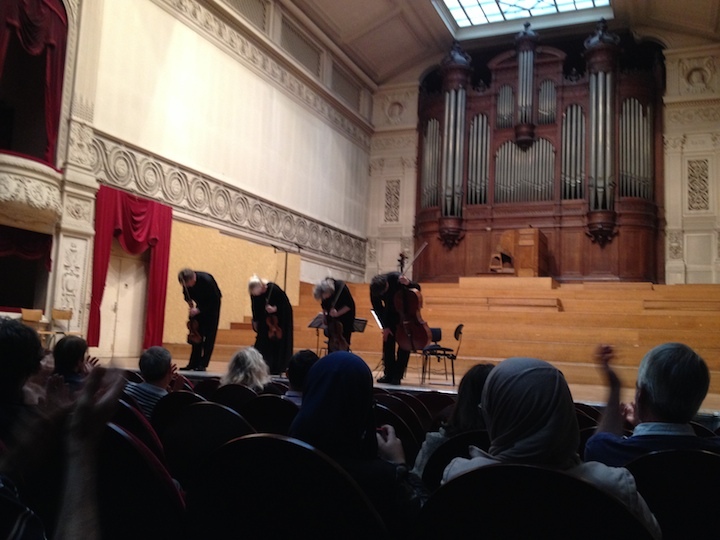 There were many free live concerts with the world premieres of the commissions. 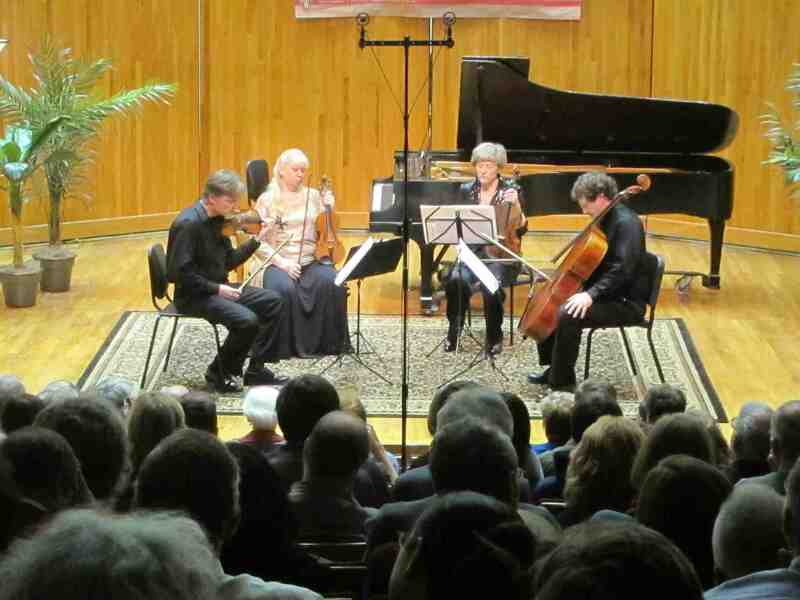 There was a tour to Belgium (below is a concert at the Royal Conservatory), the home country of the quartet that was exiled in Madison while on tour in 1941, when Hitler invaded Belgium during World War II. 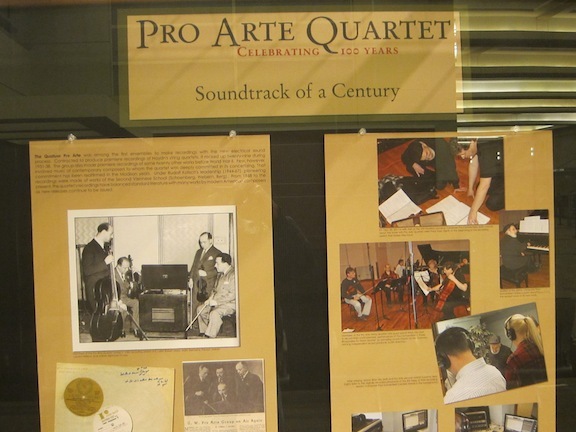 There was a terrific and impressive Pro Arte Quartet display at Dane County Regional Airport, put together with Tandem Press art publishers at the UW-Madison. 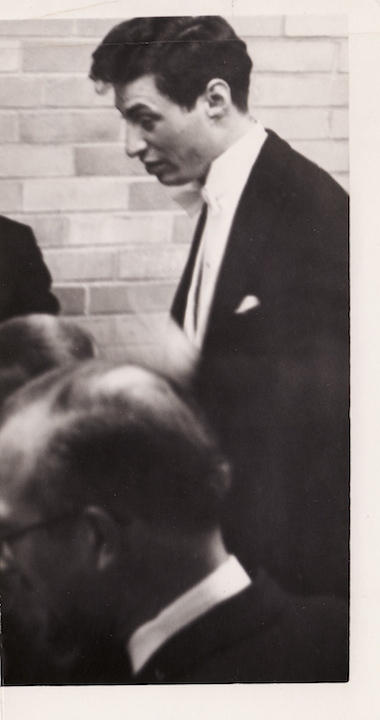 And there was a book, a complete history of the Pro Arte Quartet, commissioned from John W. Barker (below), a professor emeritus of Medieval history at the UW-Madison who is also the premier music critic in Madison. 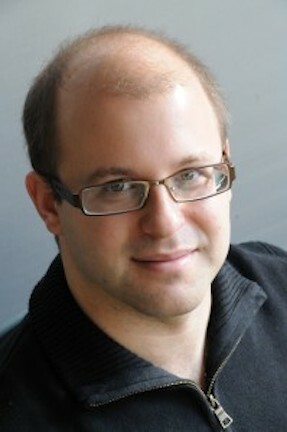 He writes for Isthmus and this blog. Now his project, full of original research, has come to fruition and will be published in October. Classical music: The new concert season features many world premieres in opera, orchestral music and chamber music. So, why not here in Madison? Who says classical music is dying? You wouldn’t know it from some of the many world premieres of new music that will take place across the U.S. this season. Such events add a lot of excitement to the new concert season. And many critics and observers think they draw in new and younger audiences. 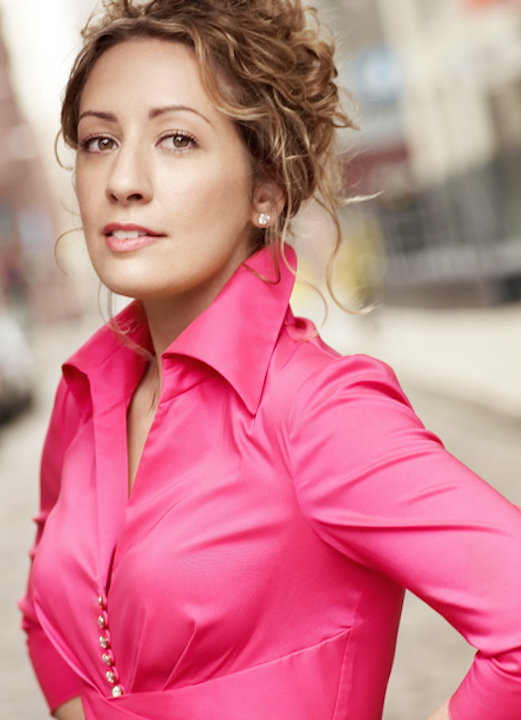 Quite a few of the premieres feature performers and composers familiar to Madison audiences. 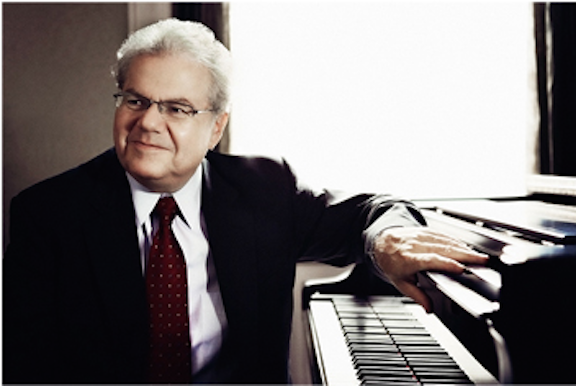 They include cellist Alisa Weilerstein (below top, in a photo by Harold Hoffmann for Decca Records), pianist Emanuel Ax (below second), composer Kevin Puts (below third) and composer Jake Heggie (below bottom). Here is a round-up of the national scene by Tom Huizenga, who writes the Deceptive Cadence blog for National Public Radio or NPR. It makes one wonder: What about the local scene here in Madison? 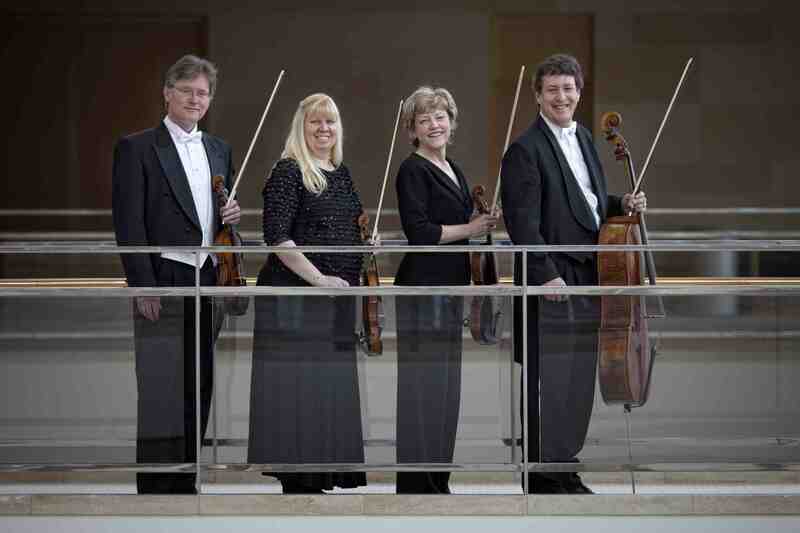 True, several seasons ago, the Pro Arte Quartet (below, in a photo by Rick Langer) at the University of Wisconsin-Madison commissioned and premiered six new works to mark its centennial. 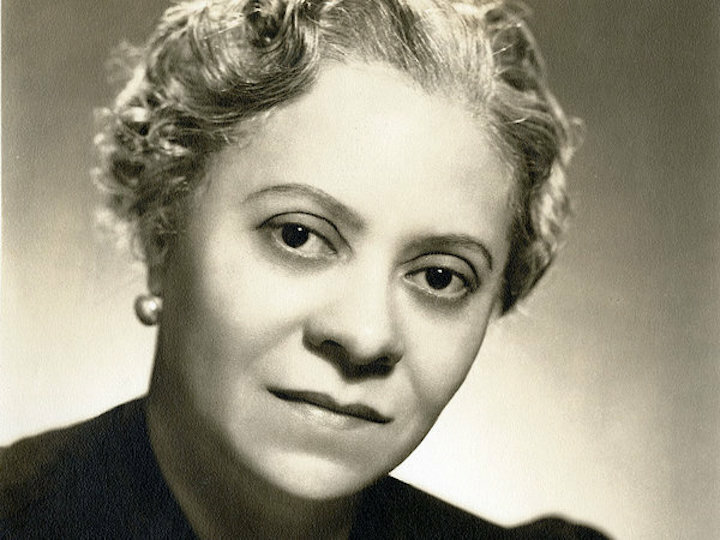 They included four string quartets, one piano quintet and one clarinet quintet, all of which are now available in terrific recordings from Albany Records. 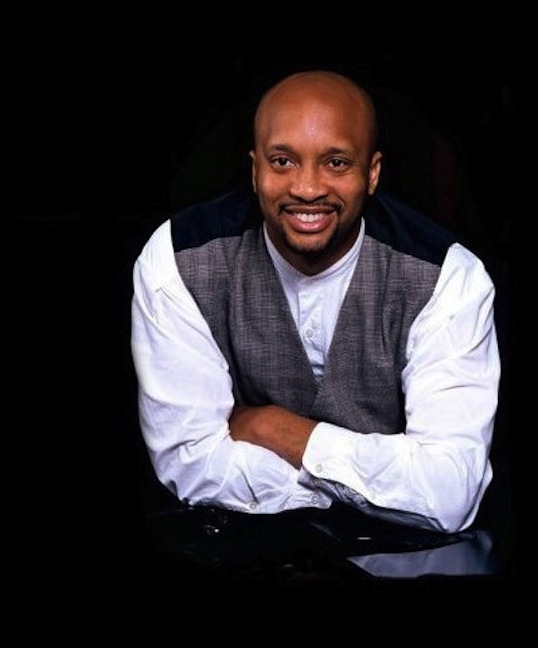 This summer the Bach Dancing and Dynamite Society featured bass-baritone Timothy Jones (below) in the world premiere of a song cycle it commissioned from American composer Kevin Puts, who is mentioned in the NPR story, to mark its 25th anniversary. 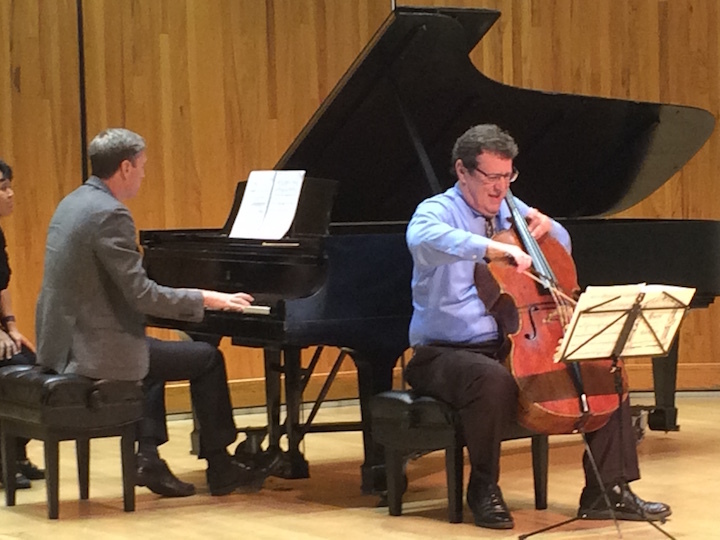 And this fall, at its annual Labor Day concert the Karp family premiered a new work by Joel Hoffman for piano and cello, based on the life of the late pianist and former UW professor Howard Karp and performed by his sons pianist Christopher Karp and cellist Parry Karp (below). 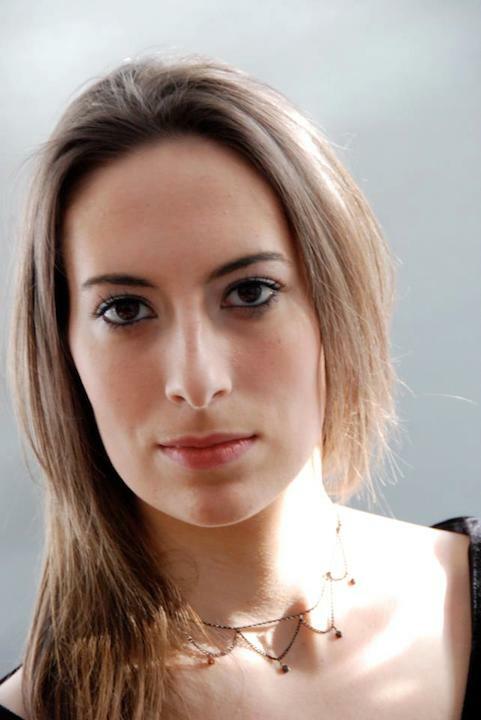 This winter the Madison Opera will stage the new jazz-inspired opera “Charlie Parker’s Yardbird,” although Milwaukee’s Florentine Opera will do a world premiere of a work it commissioned. 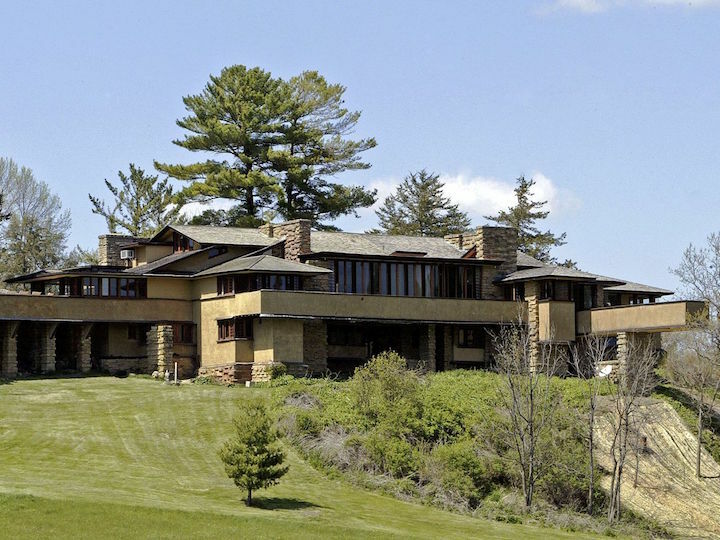 Could the Madison Opera commission again its own new work, such as it did years ago with Daron Hagen‘s opera “Shining Brow” about Frank Lloyd Wright? And there are other commissions and premieres by smaller groups, such as the percussion ensemble Clocks in Motion. But what is the problem with getting new commissions and world premieres at bigger ensembles such as the Madison Symphony Orchestra, the Wisconsin Chamber Orchestra and the UW Symphony Orchestra, which does perform a student work each year? Lack of money? Lack of will? Lack of audience interest? Classical music: The FREE world premiere by the Pro Arte Quartet of American composer Pierre Jalbert’s Clarinet Quintet — based on Beat poet Allen Ginsberg’s “Howl” — takes place this coming Friday night at 8 p.m. in the renovated Wisconsin Union Theater. The concert includes a composer interview and then a FREE dessert reception, where you can meet the composer and performers. A FREE encore performance is on this Sunday afternoon at 12:30 p.m. at the Chazen Museum of Art and will be web-streamed live. 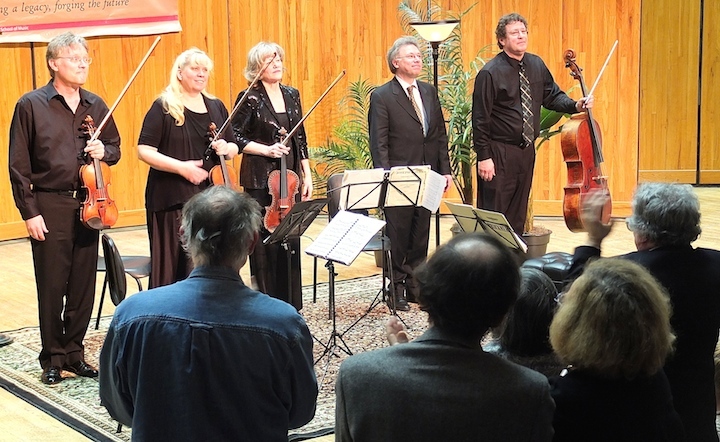 This coming Friday night will bring the FREE world premiere of the final work of the six commissions to mark the centennial of the Pro Arte String Quartet (below, in a photo by Rick Langer) at the University of Wisconsin-Madison School of Music. 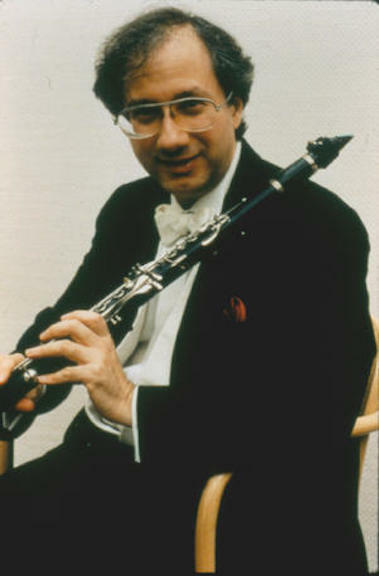 The work is a Clarinet Quintet, written Pierre Jalbert (below), a prize-winning American composer with French-Canadian roots. 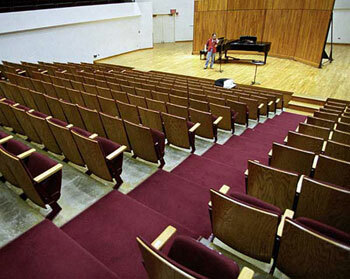 It will receive its world premiere at 8 p.m. on Friday night in the newly renovated Wisconsin Union Theater. A FREE dessert reception in the Memorial Union follows. There is also a FREE and OPEN TO THE PUBLIC rehearsal, with the composer advising the string quartet, from 9 a.m. to noon on this Thursday morning in Mills Hall. And here is the official press release about the new work and the upcoming concert. 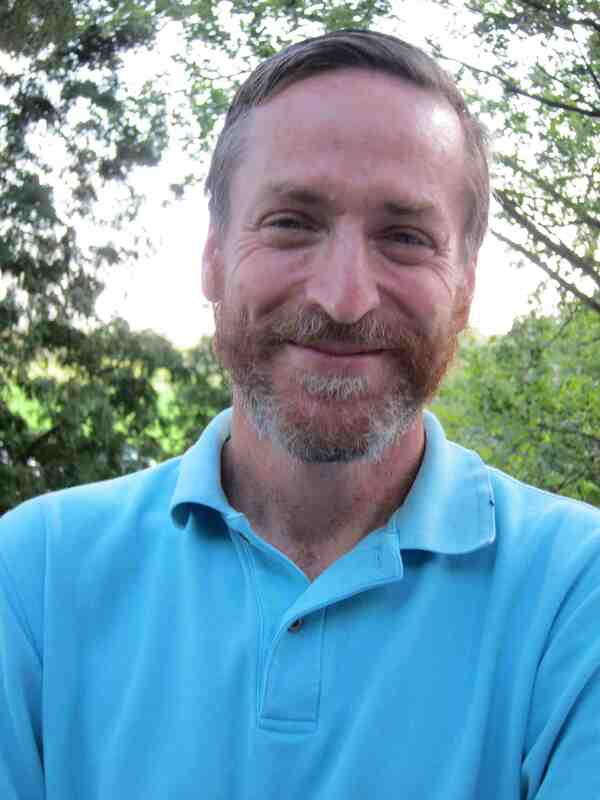 It was researched and written by Mike Muckian (below), who also writes and blogs for Brava Magazine and the Wisconsin Gazette. 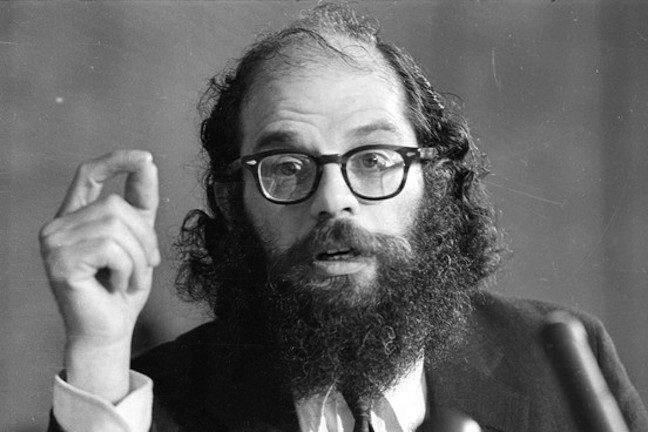 MADISON, Wis. – When Beat Generation poet Allen Ginsberg (below) published “Howl” in 1956, he may have anticipated the obscenity charges he faced because of the work’s highly charged content. 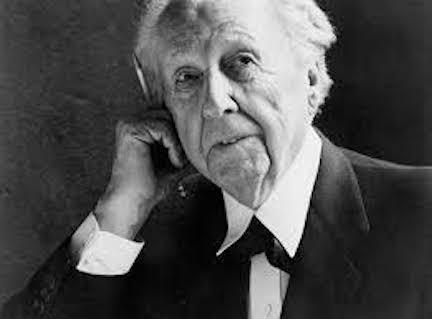 Chances are he didn’t foresee his epic poem, now considered a significant work of American literature, as the source of inspiration for a 21st-century chamber music composition. 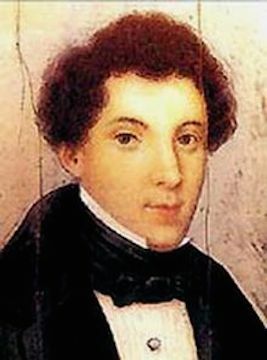 Pierre Jalbert, an American composer of French-Canadian descent, thought otherwise. 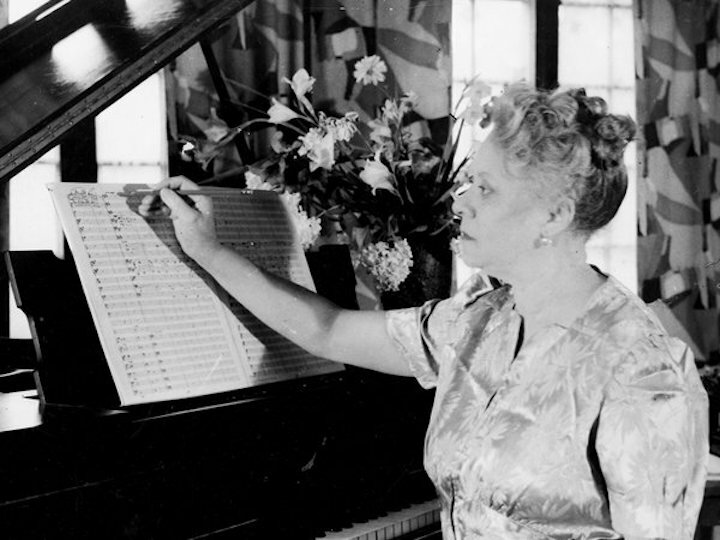 When commissioned by the University of Wisconsin-Madison Pro Arte Quartet to compose an original work to help the quartet celebrate its centennial season, Jalbert chose Ginsberg’s poem as his source of inspiration. 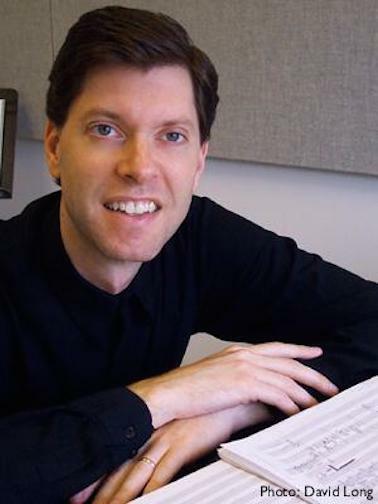 Jalbert’s “Howl” for clarinet and string quartet will receive its world premiere by the Pro Arte on Friday, Sept. 26, at the Wisconsin Union Theater in the historic Memorial Union on the University of Wisconsin-Madison campus. 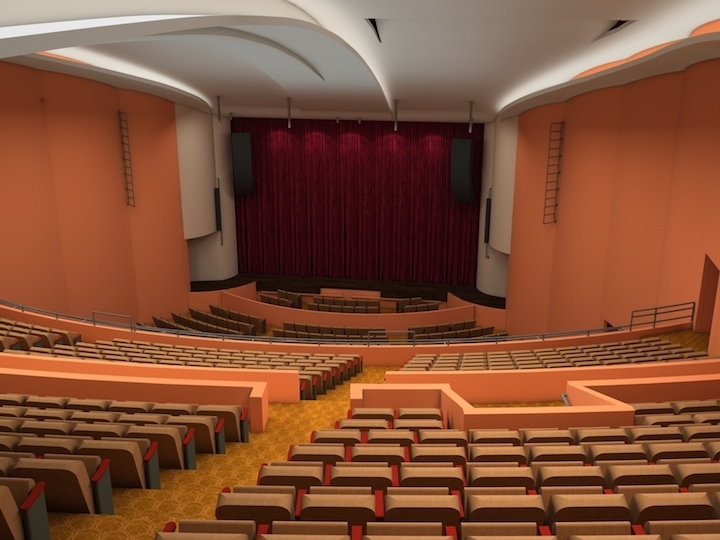 The event, free and open to the public, will be the first classical music concert to take place in the venerable theater’s newly refurbished Shannon Hall (below top). 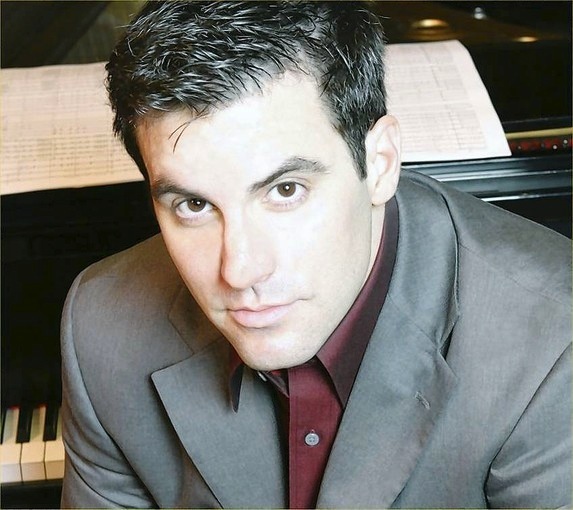 The 8 p.m. concert will be preceded by a 7 p.m. concert preview discussion with Pierre Jalbert in Shannon Hall. In addition to Jalbert’s composition, the evening’s program includes the String Quartet No. 2 in A Major (1824) by Juan Crisóstomo Arriaga (below top) -– known as “the Spanish Mozart” — and the gorgeous Clarinet Quintet in A Major (1791) by Wolfgang Amadeus Mozart (below bottom). 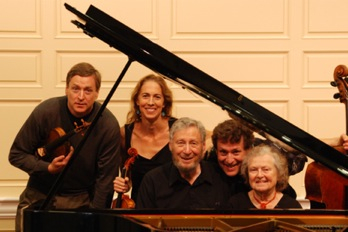 The Pro Arte Quartet (below, in a photo by Rick Langer) includes violinists David Perry and Suzanne Beia, violist Sally Chisholm and cellist Parry Karp. 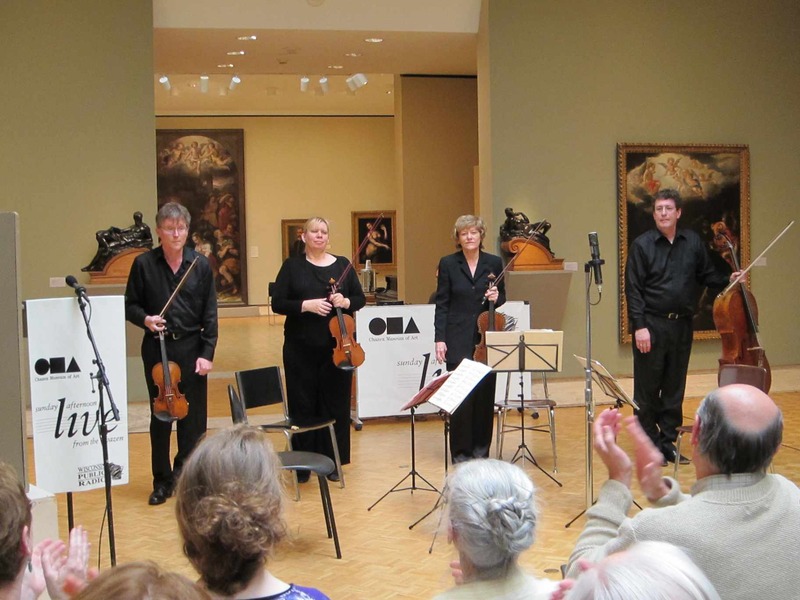 PLEASE NOTE: The Pro Arte Quartet concert will be repeated Sunday, Sept. 28, at 12:30 p.m. in Gallery III at the Chazen Museum of Art, also on the UW-Madison campus. The concert will be streamed live worldwide on the Internet by the Madison-based Audio for the Arts. 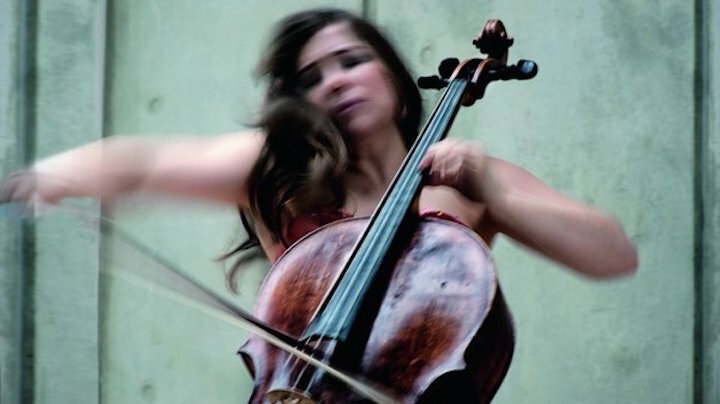 Check the Chazen Museum of Art’s website (www.chazen.wisc.edu) on the day of the concert. 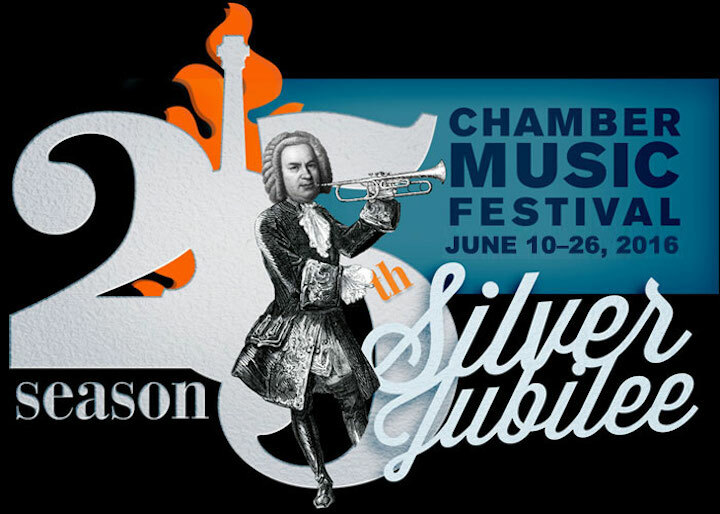 Details of the Chazen music series for 2015 will be announced on Sunday at the concert. 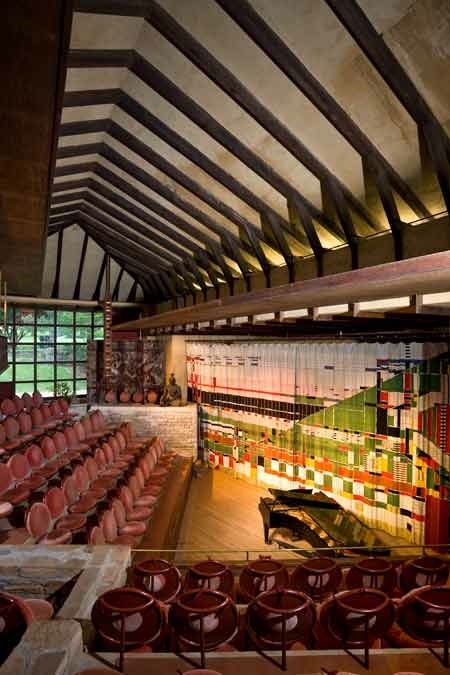 The new series is designed to replace the “Sunday Afternoon Live From the Chazen” series (below) of live chamber music concerts that was abruptly canceled by Wisconsin Public Radio last spring after 36 years. Sunday’s concert is FREE and OPEN to the public; however, Chazen Museum of Art members can call 608-263-2246 to reserve seating. 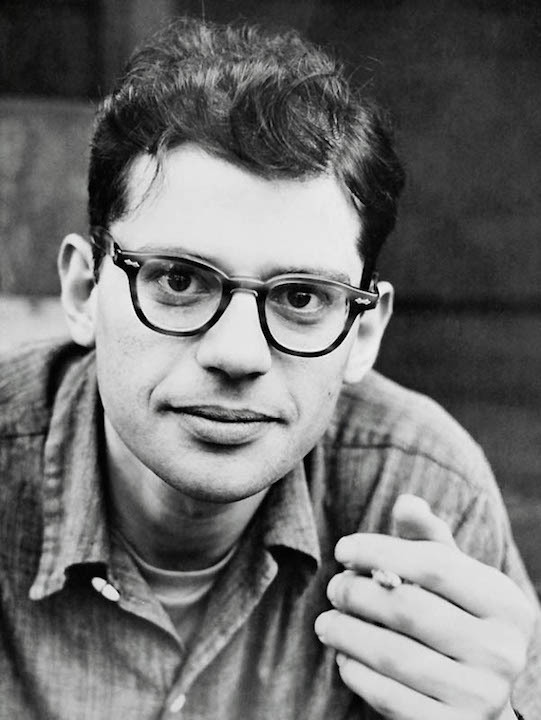 Ginsberg (below, young), who died in 1997, began work on “Howl” as early as 1954. 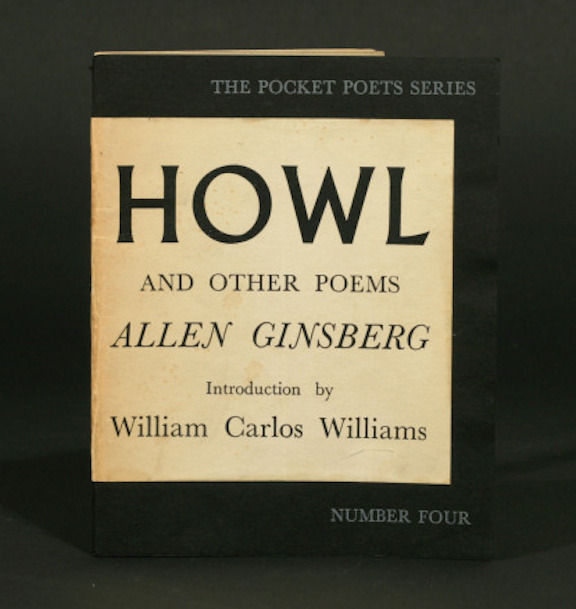 The poem was first published in “Howl and Other Poems” in 1956 as part of the “Pocket Poets” series by fellow beat poet Lawrence Ferlinghetti, also known as founder of City Lights Books in San Francisco. Upon the poem’s release, both Ferlinghetti and City Lights manager Shigeyoshi Murao were arrested and charged with distributing obscene material because of the poem’s profanity, drug references and frank sexual content. Four months later, Judge Clayton Horn ruled that the work was not obscene and charges against Ferlinghetti and his employee were dropped. 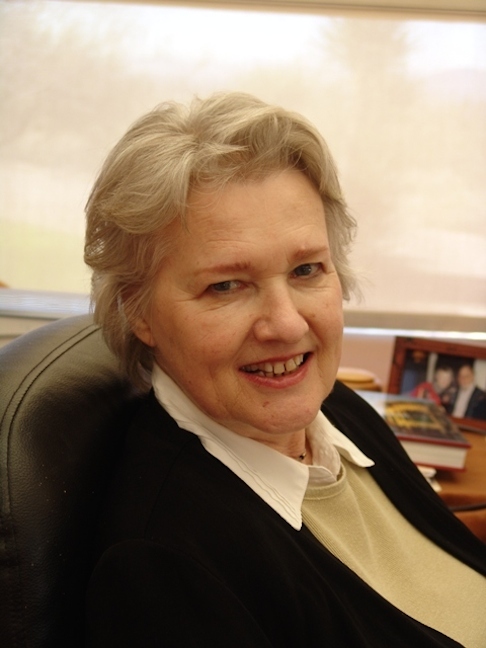 Judge Horn deemed “Howl” to have redeeming social content, and over the years it has proved its worth both in terms of social and literary value, according to Dr. Lynn Keller, the Martha Meier Renk Bascom Professor of Poetry in the UW-Madison Department of English. 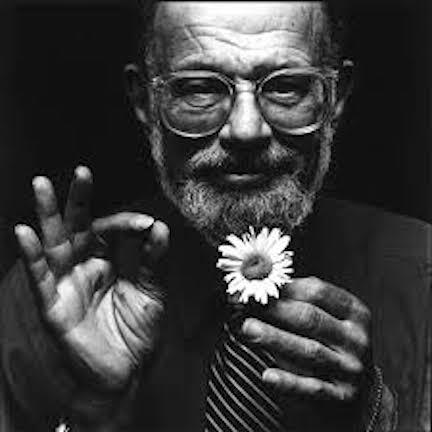 As part of the Beat Generation – as much a social as a literary phenomenon – Ginsberg’s celebration of physical pleasures and suspicions about “the military industrial complex” created a new path that still appeals to younger audiences. “It is a powerful poem, a howl from the heart of an agonized generation in a repressive era,” Dr. Keller said. 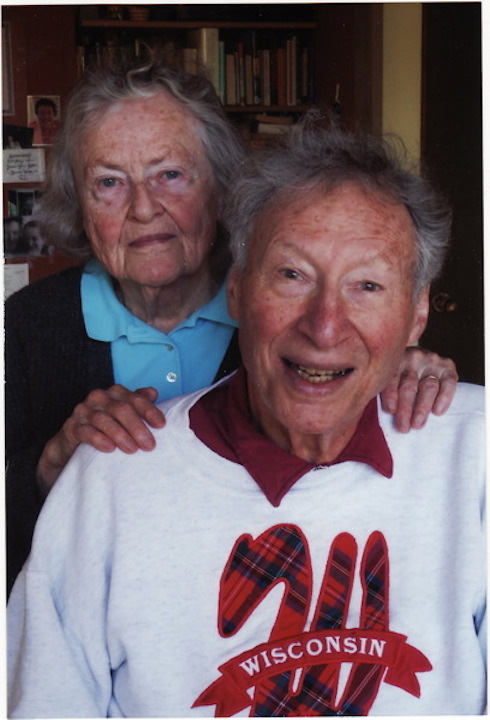 Jalbert was familiar with the poem prior to the Pro Arte commission, but it was only after he started composing the work that he began to realize the influence Ginsberg had on the music. 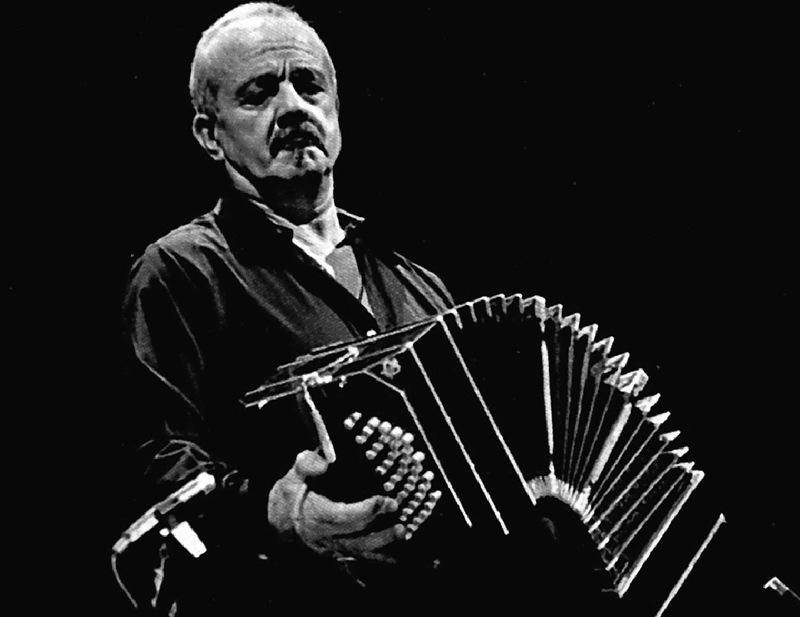 Those similarities had less to do with the poem’s content and more to do with its structure and rhythm, the composer said. 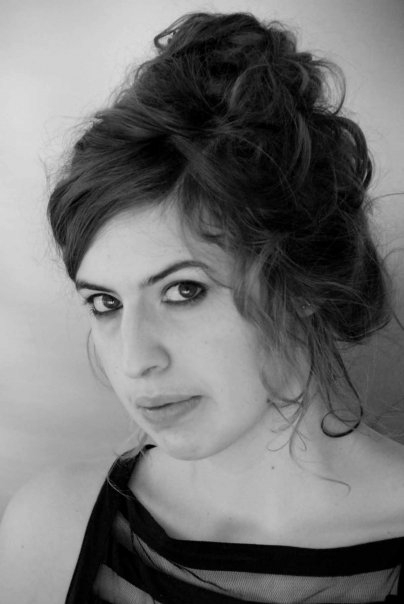 In keeping with emotional soundings in parts of “Howl,” Jalbert also has attempted to capture the “shrieks” that were characteristic to the poem alongside the aforementioned litany of praise. 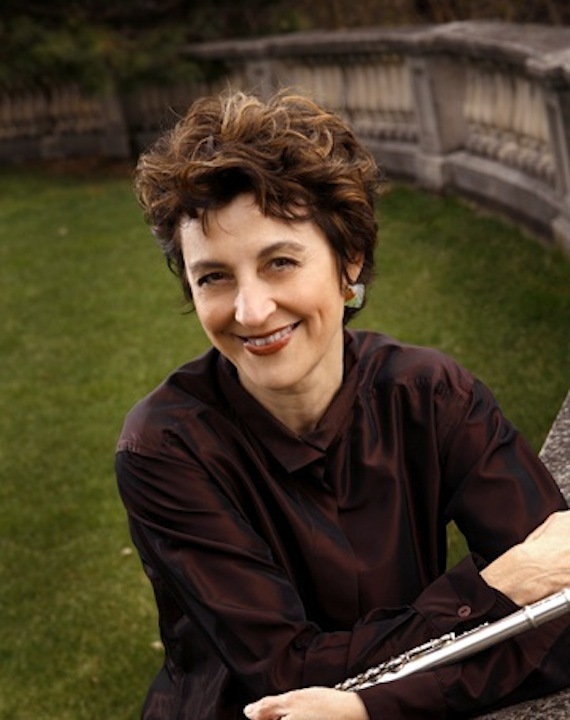 The Jalbert composition is the final of six commissions for the Pro Arte Centennial seasons, and it has all the earmarks of a contemporary work with staying power, according to clarinetist Neidich. 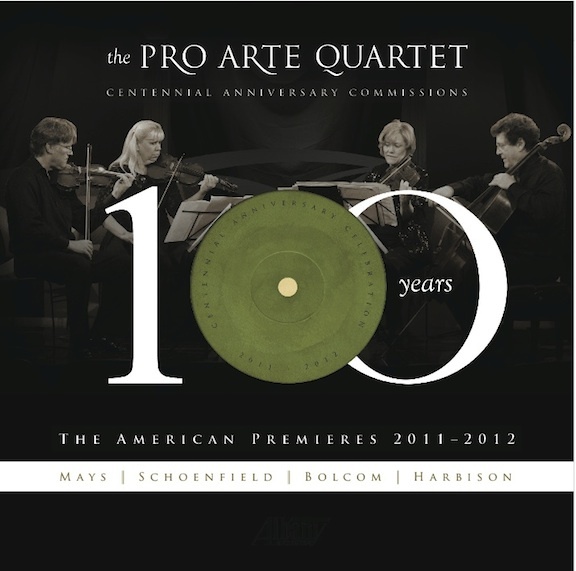 The Jalbert commission also brings to an end the Pro Arte’s seasons of centennial celebration in honor of the quartet’s long and storied history. The Quatuor Pro Arte of Brussels, first formed in 1911-1912, was performing quartets by Ludwig van Beethoven at the then-new Wisconsin Union Theater on the UW-Madison campus on May 10, 1940, when Belgium was overrun and occupied by Nazi forces, turning three of its original four musicians into war orphans. By October of that year, the group had officially become the UW Pro Arte Quartet, making it the first artists ensemble-in-residence at any university in the world. 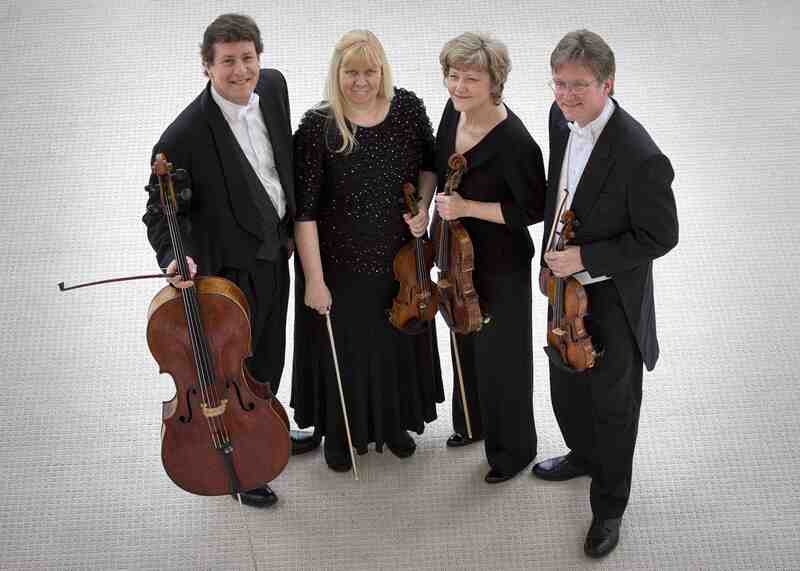 At more than 100 years old, Pro Arte also is thought to be the world’s oldest continuously performing string quartet. 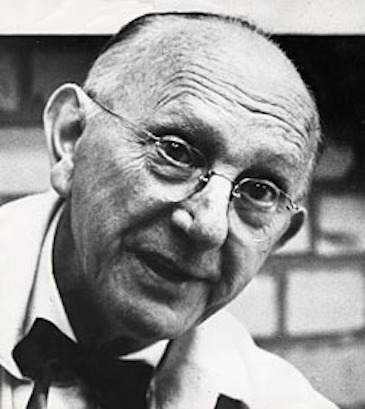 The Pro Arte in May traveled back to Belgium to perform the European premiere of its fifth centennial commissioned work, Belgian composer Benoît Mernier’s String Quartet No. 3. 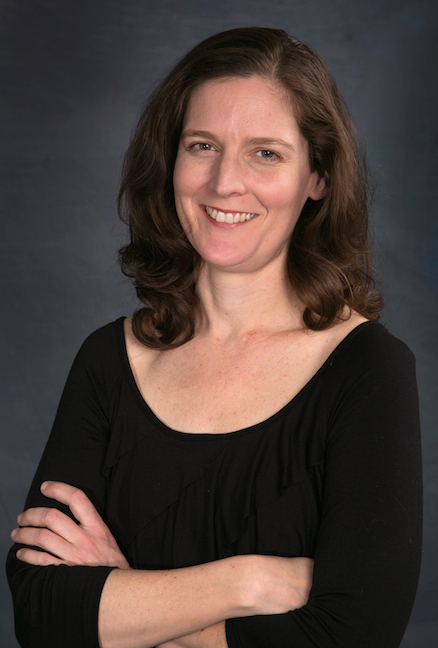 The work had received its world premiere on March 1 in Mills Concert Hall in the Mosse Humanities Building on the UW-Madison campus with the composer in attendance. 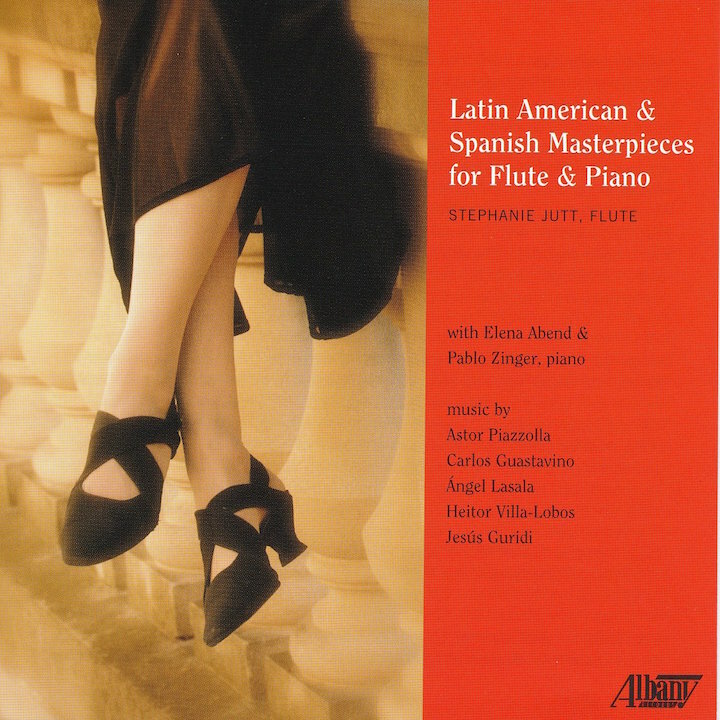 A 2-CD set (below) of the first four commissions was released last year by Albany Records. It includes two string quartets by Walter Mays and John Harbison as well as two piano quintets, one by William Bolcom and the other by Paul Schoenfield. 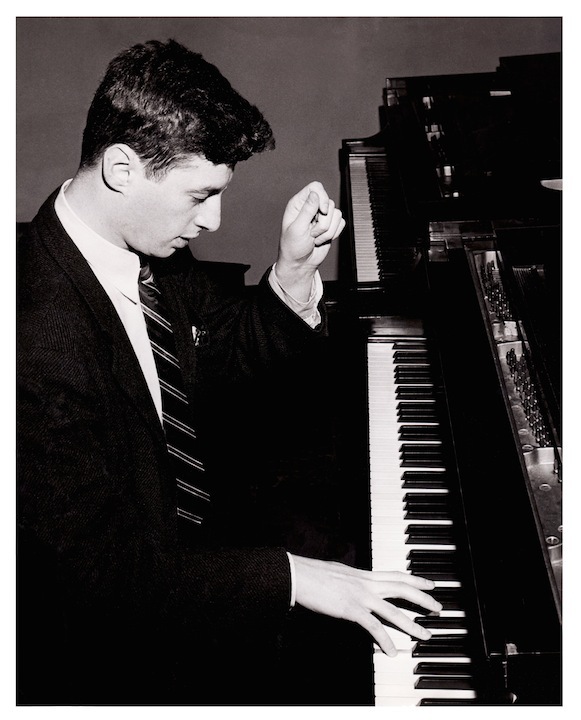 Classical music: Here are some more stories — including two from The New York Times — about University of Wisconsin-Madison pianist Howard Karp, whose FREE and PUBLIC memorial will be this Sunday at 3 p.m.
As you probably already know by now, tomorrow, Sunday, Aug. 31, will bring a FREE and PUBLIC memorial celebration of the life of Howard Karp (below, in a photo by Katrin Talbot) -– who died in June at 84 — on the University of Wisconsin-Madison campus in Mills Hall at 3 p.m. It is scheduled to run about two hours and then have a free and public reception after it. Parking in nearby Grainger Hall is also free. The memorial will feature live music and recorded music. 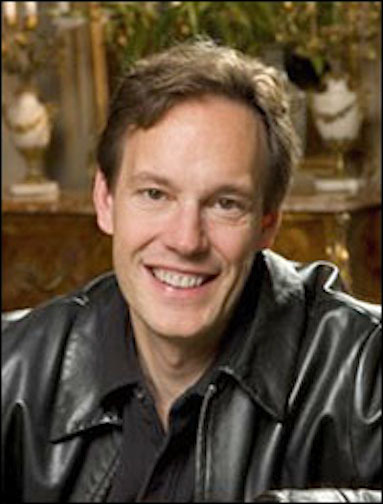 Works by Ludwig van Beethoven, Franz Schubert, Frederic Chopin, Robert Schumann and Sergei Rachmaninoff will be featured. 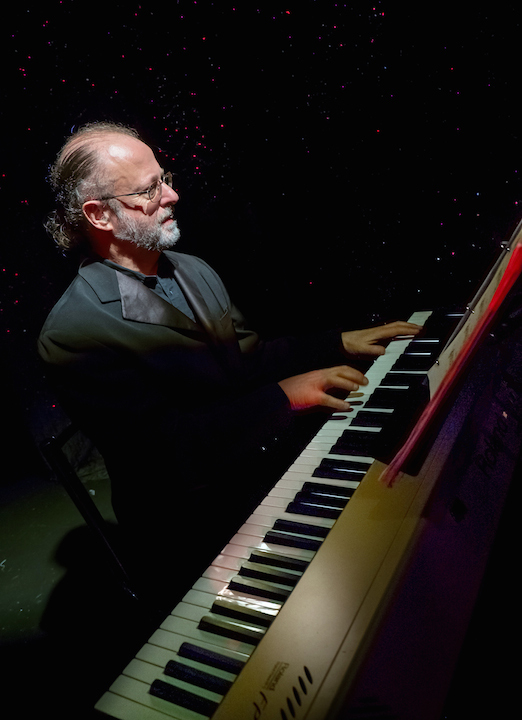 But if you can go, and especially if you can’t, you might be interested in some other stories about Howard Karp, who was both a wonderful man and wondrous musician. There may be more. If you know of them, please leave word – and a link, if possible – in the Comments section. This seems like the right time. Classical music: Here are the final program and details about the FREE memorial on this Sunday at 3 p.m. in Mills Hall for University of Wisconsin-Madison pianist Howard Karp. The Ear has received a request from the Karp Family. 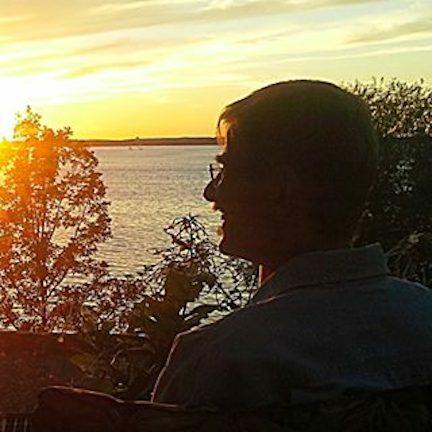 It seems there is still some ignorance and some confusion about the memorial event -– a life celebration, really –- set for this Sunday afternoon for the late pianist Howard Karp, who died in June at 84 in Colorado and who had taught and performed at the University of Wisconsin-Madison School of Music from 1972 to 2000. “I hope all is well. “Here is the program for Sunday. “I am still hearing from people who want to go to the celebration, but don’t know when or where it will be. The celebration will be held this Sunday, August 31, 2014, at 3 p.m. in Mills Concert Hall (below) in the Mosse Humanitites Building, with a FREE and PUBLIC reception to follow. FREE parking can be found in nearby Grainger Hall of the University of Wisconsin Business School. 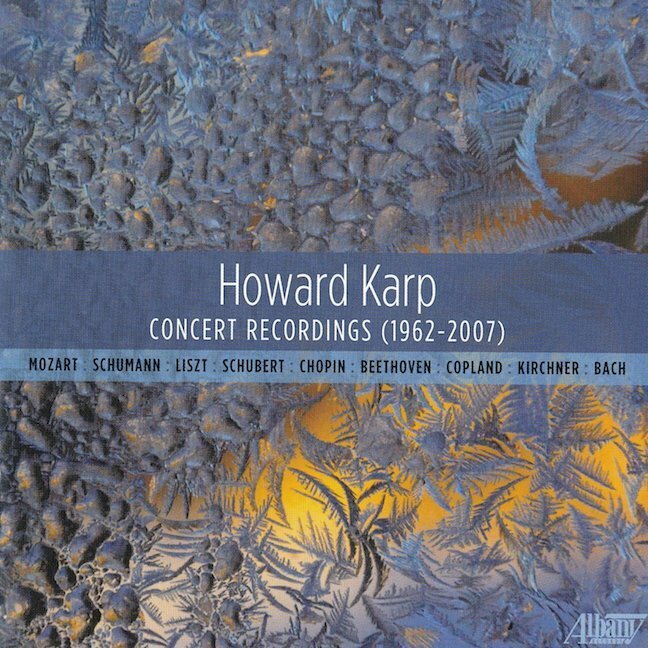 “Performances” by Howard Karp come from recordings issued by Albany Records and the University of Wisconsin-Madison School of Music. 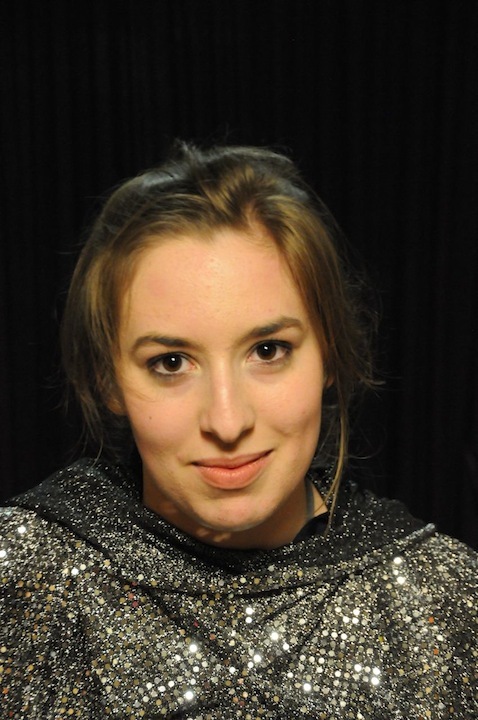 Readings from William Shakespeare by granddaughter actresses Isabel Karp (bel0w top) and Natasha Karp (below bottom). 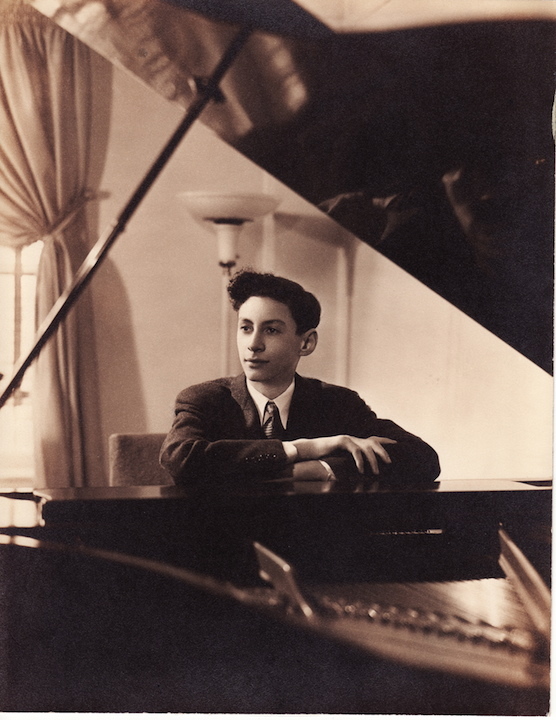 Classical music: Here is an update with more details about the memorial celebration for the late UW-Madison pianist Howard Karp on Sunday, Aug. 31, at 3 p.m.
Members of the Karp family have asked The Ear to fill you in about some more details concerning the memorial celebration for the late Howard Karp (below, in a photo by Katrin Talbot). 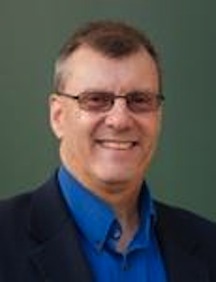 As you may recall, Howard Karp, who taught for decades at the University of Wisconsin-Madison as well as at the University of Illinois at Champaign-Urbana and the University of Kentucky, died unexpectedly this summer on June 30. He was 84. Here is a link to an announcement that was posted on this blog about Karp’s death. A FREE memorial celebration of his life and career is planned for Sunday, Aug. 31, at 3 p.m. in Mills Hall. Although some official announcements and this blog have said the memorial will run from 3 to 6 p.m., The Ear has been told that the celebration will probably last from 3 p.m. to about 5 p.m. with a reception to follow. That reception will be held either in the University of Wisconsin-Madison School of Music courtyard, if the weather permits, or in the lounge outside Mills Hall. 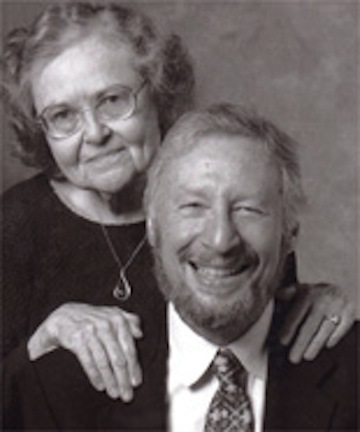 The master of ceremonies for the event will be Bill Lutes (below right, with his wife, UW-Madison pianist Martha Fischer. 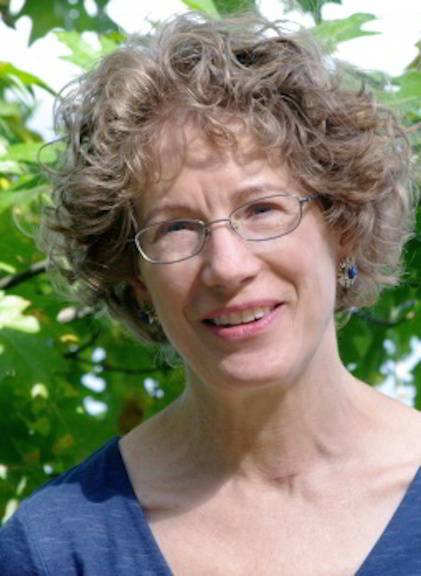 Lutes studied with Howard Karp and still teaches piano in Madison. 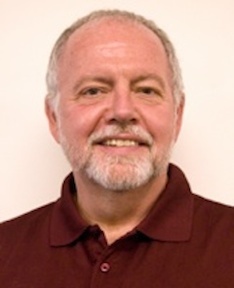 You may also recall his name from his days at Wisconsin Public Radio and as a coach with the University Opera. There will also be some live performances. 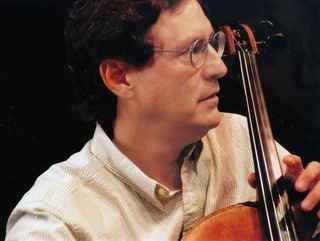 Cellist son Parry Karp will be joined by his violinist-pianist brother Christopher Karp, who is a medical doctor specializing in infectious diseases and who works with the Bill and Melinda Gates Foundation, to perform “Kol Nidre” by Max Bruch. 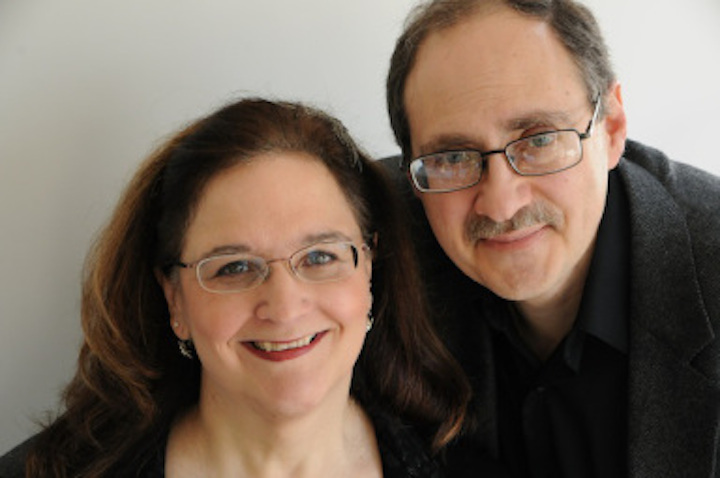 Then the Karp Family, which usually gave a FREE Labor Day concert for more than 30 years, will perform the slow movement from the Piano Quartet by Robert Schumann. The players will be violinist son Christopher Karp, pianist wife Frances Karp, cellist Parry Karp and his violist wife Katrin Talbot. 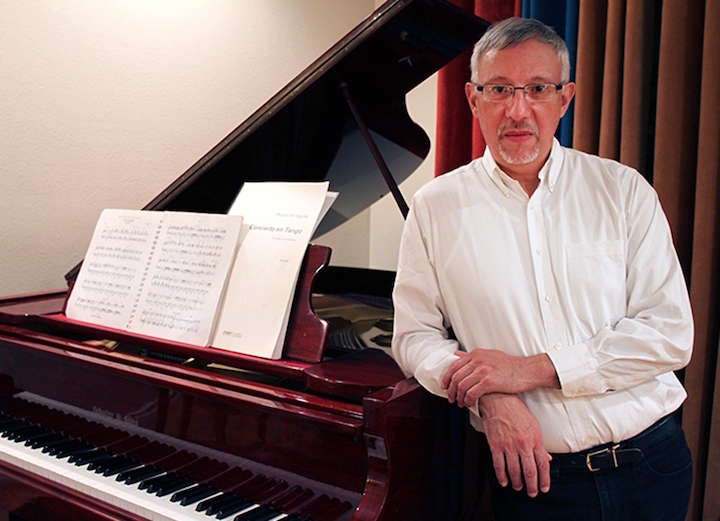 Acclaimed keyboard artist Malcolm Bilson (below), who has retired from teaching at Cornell University is slated to play the piano – rather than his specialty, which is the early music fortepiano — in music by Franz Schubert. As more details develop, they will get posted here. 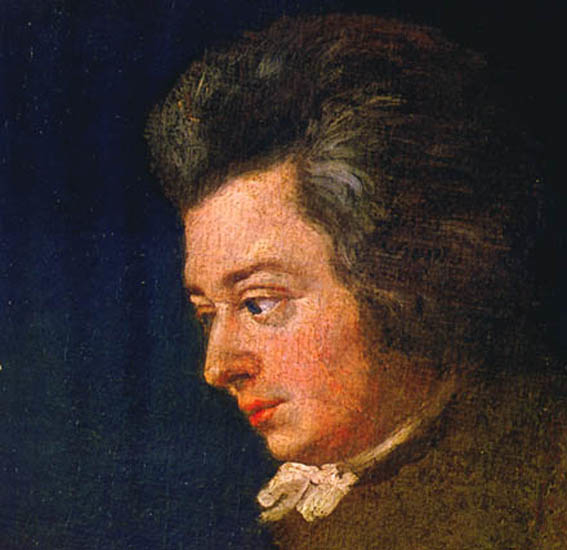 Here is Howard Karp’s stirring and daring reading of Chopin’s “Heroic” Polonaise. 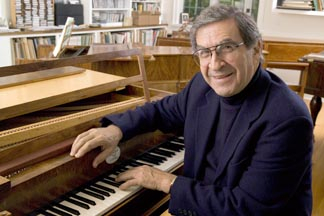 Classical music: Pianist Howard Karp, who taught at the University of Wisconsin-Madison, has died at 84. 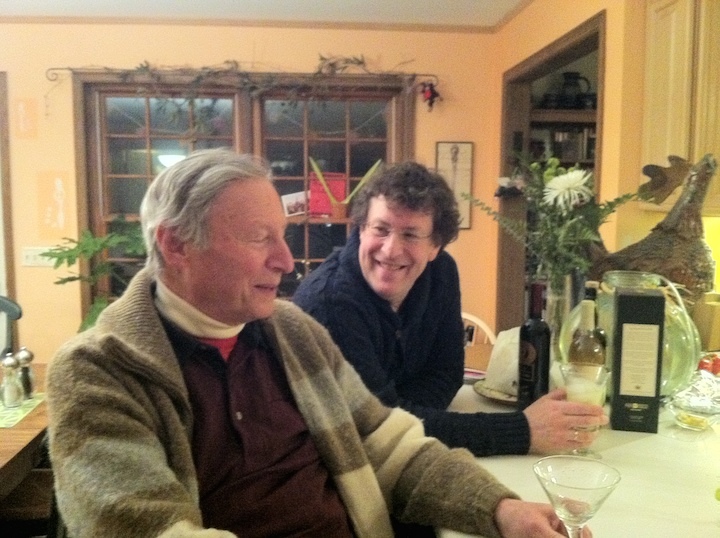 Here are Howard Karp and Parry Karp on New Year’s Eve, 2013. 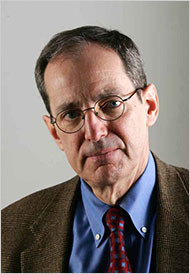 Here is Howard Karp in 2000, in a photo taken by Katrin Talbot, the wife of Parry Karp. 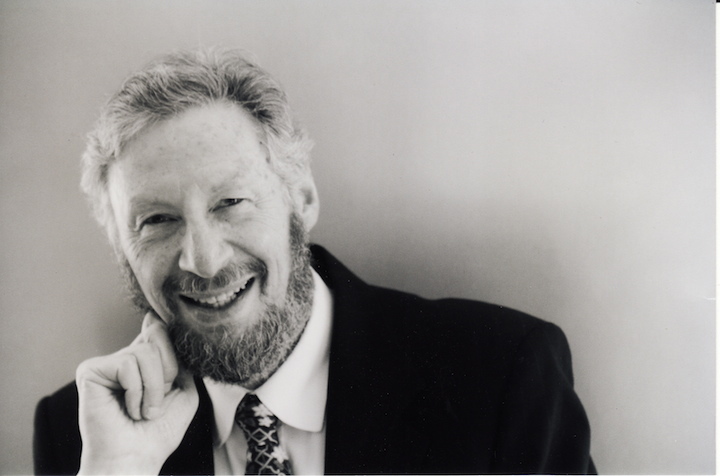 I will have more to say about the gifted performer and teacher Howard Karp, and so will the many students and friends he had in Madison and elsewhere during his long career. But please leave your recollections and memories as well as condolences and good wishes in the REPLY or COMMENT section.